Applications can be completed online at www.smtexas.org/apply. How do I learn more about St. Mark's? The best way to learn about St. Mark's is to visit our campus. Opportunities include the Open House, Morning Coffees, Campus Tours, and Lower/Middle/Upper School Visits. Who do I contact for information about applying to St. Mark's? Please contact Kerry Schneidewind for all application questions at 214-346-8270 or SchneidewindK@smtexas.org. The 2019-2020 application fee for 1st - 4th grade applicants is $50. The fee for 5th - 11th grade applicants is $175. *There is an additional $285 testing fee, payable to CATS, for 1st - 4th grade applicants. *There is an additional $65 testing fee, payable to ERB, for the 1st grade AABL test. *There is an additional $105 testing fee, payable to ERB, for the 2nd - 11th grade ISEE test. Under certain circumstances, the fees may be waived. Please contact the Office of Admission for more information. How many new students are admitted in each grade? 1st (32), 2nd (2), 3rd (2), 4th (12), 5th (25-30), 6th (6-8), 7th (6-8), 8th (4-6), 9th (12-15), 10th and 11th (attrition replacement only). What are the average class sizes at St. Mark's? There are approximately 15 students in each class period in the Middle and Upper Schools. Class sizes in the Lower School are as follows: 1st (16), 2nd (17), 3rd (18), 4th (16). What percentage of applicants gain admission? Historically, the admission ratio in each grade level is approximately 20% of the applicant pool. On average, one out of every five candidates are admitted. Does St. Mark's admit international students? As a day school, St. Mark’s does not have a boarding program, nor do we assist with homestay programs. All students attending St. Mark's live with their parents or legal guardians in the Dallas metropolitan area. Admitted International students receive appropriate F-1 Visa assistance, including form I-20. Other than Foreign Language, all courses at St. Mark’s are conducted in English, and English fluency is a necessary precondition of attendance. St. Mark's does not offer an ESL program. The required admission test for all applicants is the Independent School Entrance Examination (ISEE). St. Mark's does not require or accept the Test of English as a Foreign Language (TOEFL) or the Secondary School Admission Test (SSAT). For any additional questions, please contact Kerry Schneidewind, Assistant Director of Admission, at schneidewindk@smtexas.org. What does the Lower School testing process involve? 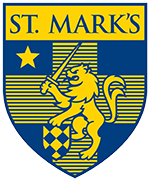 For the Lower School (1st-4th), boys are required to test at St. Mark's on one Saturday morning in the fall or winter for approximately four hours. While here, they will participate in groups of about seven students and three teachers in a variety of activities that will feel to them like a morning at school. They will be evaluated on their performance, communication and behavior throughout the testing sessions. Standardized and non-standardized tests will also be administered and grades will be considered by the Admission Committee. All Lower School candidates are also tested individually by a CATS group educational psychologist who will administer a cognitive skills evaluation. What are the age ranges for first grade applicants? Your child must be between 6 years old and 7 years 6 months by September 1st of the entering school year to qualify as a first grade applicant. St. Mark's does not have a kindergarten program. What is the application process for grades 5-11? In addition to the submission of a completed application, boys applying to grades 5-11 will take the ISEE test and will be a part of a small group discussion on campus with a St. Mark's faculty member. Optional visits are offered for applicants to spend a school day on campus with a student ambassador. The Independent School Entrance Exam is an admission test that has four levels: Primary (for applicants to grades 2, 3 and 4), Lower (for applicants to grades 5 and 6), Middle (for applicants to grades 7 and 8) and Upper (for applicants to grades 9 through 12). The ISEE has different forms at each level for security purposes. At the Lower, Middle and Upper levels, the ISEE consists of three parts: (a) carefully constructed and standardized verbal and quantitative reasoning tests; (b) reading comprehension and mathematics achievement tests that provide specific information about the student’s strengths and weaknesses in those areas; and (c) an essay section. The ISEE evaluates not only the student’s level of reading, but also his ability to comprehend material drawn from the sciences and humanities. The ISEE essay is timed and written in response to a prompt. This essay is not scored; it is photocopied and sent to the schools to which the student applies. For more ISEE information please call 1-800-446-0320 or visit www.iseetest.org. How should I prepare my son for the admission test? St. Mark's discourages the practice of prepping applicants for the admission test or any other component of the Admission process. Special coaching creates anxiety and may contribute to a decision that is not in the candidate's best interest. The School requires that parents not subject Lower School applicants to any type of diagnostic testing or evaluation within a six-month period preceding the St. Mark's test. The best way to prep your son for his test is to ensure that he sleeps well the night before. Are alumni and sibling candidates given preference in the admission process? Sons of employees, alumni, trustees and siblings of current and former students will receive preferred consideration when all other factors are considered equal. First and foremost, admission decisions are based upon the qualifications of the individual candidate. Deadline for completing STEPS 1 & 2 by applicant families: February 13, 2019. STEP 1: Complete the SSS’ “Parents’ Financial Statement” (PFS). If parents are separated or divorced, the student’s custodial parent and that parent’s present spouse should complete the PFS. The School also requires the non-custodial parent to complete the PFS. * PFS documents can be found at www.sssbynais.org. * Once completed, a final copy, including calculations, can be downloaded from the website. STEP 2: Upload a copy of all proof of income forms (eg. W-2, 1099, Unemployment 1099, etc.) for the entire household (parents and, if applicable, the student applying for aid to St.Mark’s). Forms should be uploaded to your SSS account. Deadline for completing STEP 3 by applicant families: April 15, 2019. STEP 3: Upload a complete copy (including all schedules filed) of your 2018 Income Tax Statement (personal and/or corporate). We cannot accept abbreviated forms or the Request for an Extension of Filing Date form. Each of the above deadlines and requests for information are also applicable to the divorced or non-custodial parent. * Awards for the 2019–2029 school year will be mailed to applicant families with their admission decision on March 8, 2019. Do St. Mark's students wear uniforms? Yes, the boys wear grey pants or shorts with white oxford shirts. Seniors wear blue oxford shirts. Belts and shoes must be brown or black. Uniforms are available at Culwell & Sons and the Lion's Closet on campus. What is the religious affiliation of the school? While St. Mark's was born out of the tradition of the Episcopal Church, a non-sectarian chapel program provides spiritual and moral direction while exhibiting respect for the multitude of religious traditions represented in our community. The Chaplain incorporates the teachings and traditions of many religious faiths, and frequently invites other religious leaders to participate in chapel services. Chapel services raise questions, share information and perspectives about different religions, and offer guidance on living a moral, responsible, and spiritual life. What is St. Mark's policy on non-discrimination? St. Mark's School of Texas does not discriminate in the administration of its admission and education policies on the basis of race, color, religion, sexual orientation, or national or ethnic origin. How do I visit the Lower School? The Lower School welcomes classroom visits for parents only. To confirm dates and availability, please contact the Lower School Office by calling 214.346.8210. What are the school hours for Lower School? The doors for Lower School open at 7:30 AM and classes begin for all at 8:00 AM. 1st and 2nd grade classes end at 2:45 PM, while 3rd and 4th grade classes end at 3:15 PM. For all Lower School boys, there is an after school program available each school day until 5:30 PM for an additional fee. How do I learn more about the Middle and Upper School? Are there after-school programs for students in the Middle School? Boys may remain on campus after school to attend club activities, to receive extra help, to study in the Library, or to wait for a late ride home. At what grades are there competitive sports? School sponsored sports teams begin in grade 7. In grades 5 and 6, most boys play on teams organized by parent volunteers that compete in various leagues such as a Chamber, YMCA, and SVAA. How are newly admitted students placed in the appropriate classes for the fall? As part of the new student orientation process each spring, St. Mark's conducts placement tests for academic subjects and auditions for fine arts electives. The school departments make course assignments for each student based upon previous school transcripts and placement test information. The goal is always to put each student in a class where he will have the greatest opportunity for success while being appropriately challenged. Does St. Mark's offer transportation to and from school? The School does not offer transportation to and from school. Carpools naturally develop amongst families across the metroplex. What percentage of Seniors go on to colleges? 100 percent of St. Mark's students attend a four-year college or university.